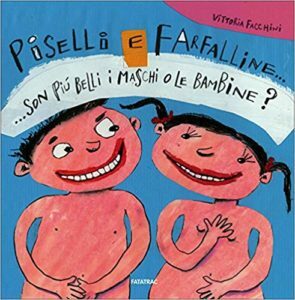 Piselli e farfalline… son più belli i maschi o le bambine? How do males and females look like? What’s underneath their clothes? As we grow up, our bodies change, we fall in love, other girls and boys come into the world. A book useful to answer many important questions in a simple and funny way.